Bullying is when people repeatedly and intentionally hurt or cause harm to another person through the use of degrading words or actions, which in turn leave the victim feeling worthless and helpless. Both children who are bullied and who bully others may have serious, lasting problems. Every day across Australia, thousands of adults, children and adolescents are suffering the pain and humiliation of being bullied. The internet has now made it possible for bullies to continue bullying their targets twenty-four hours a day, providing no reprieve for the victims: an epidemic amongst today’s generation. It has been suggested that almost 80% of youth suicides are due to mental illness caused by issues related to bullying, especially cyber bulling. Without a doubt people that were victims of school yard or workplace bullying over past generations had a chance to put it all aside for a few hours, at least until the next morning when it was time to go to school or work again. These days our young people feel the pressures of having the latest technology available 24/7 so that they can keep up with the latest gossip. Whilst this can be a positive thing, it makes them vulnerable to attacks by predators on social media. A week does not pass where we don’t hear about the loss of a beautiful person who has tragically taken his or her life after enduring unbearable, persistent and callous bullying at school, in the workplace or on social media. This would suggest that the existing processes and structures have not been adequate in helping to deter the perpetrators from their extreme anti-social behaviour, or more importantly, providing them with the help they need to prevent them from continuing to bully other people. It is everyone’s basic human right to feel safe, yet the current anti-bullying policies, whilst they may be effective to some extent, have not prevented suicides and the devastating consequences for their families. It is no longer enough to just stand by, commenting on how sad it is that so and so lost a child to suicide. Neither is it fair to leave it up to the education system or the politicians to fix the problem. In recent times, a group of energetic, passionate and committed individuals have formed a committee to lead the way towards a new, bully-free Australia. The committee consists of families of bullied victims, politicians, senior members of the Police Force and professionals from various backgrounds who have united to form the Bully Zero Australia Foundation. 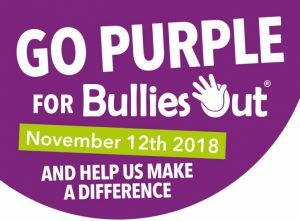 They have worked tirelessly to establish a dynamic Anti-Bullying Foundation determined to “make a difference” in Australia in regards to this unacceptable anti-social disease. A bully is a person who is habitually cruel or overbearing towards another person, often a smaller or weaker person. Bullying is when people repeatedly and intentionally hurt or cause harm to another person through the use of degrading words or actions. Face-to-face bullying involves direct verbal actions such as name-calling and insulting or physical actions such as kicking or punching. Covert bullying is a more subtle type of bullying which isn’t easily seen or recognized by others, for example deliberately excluding people from social groups or spreading rumors about them. Cyber bullying transpires through the use of the internet and related technologies such text messages, instant messaging, email and social networking sites or forums. Ignore the person who is bullying you: bullies are looking for a reaction and often lose interest if they don’t get one. Stay with others:Hang out with people you trust, as bullies are less likely to pick on you as much when there are other people around. Stay positive and be confident: Even though it may be hard, the key is to think of all the things you do well and try not to let the bullying affect your self-confidence. Don’t reply to the bully’s messages: By replying the bully gets what he or she want. Often if you don’t reply, the person will leave you alone. Ask for help: if the bullying doesn’t stop, you should seek advice from someone else. You should also report it to someone in charge (either at school or at work). We all need help sometimes – whether its cyber, school, work or home, HELP is here.